Following General Motors Company’s [NYSE:GM] announcement in 2013 that it would be ending production at its Holden plant in Australia, Stefan Jacoby, who heads GM’s International Operations, revealed that there would be a new V-8 sports car to satisfy those customers used to buying Holden’s V-8 Commodore models, which will be disappearing along with the plant in late 2017. This led to suggestions that GM would soon start selling the Chevrolet Camaro in Australia to challenge the Ford Motor Company [NYSE:F] Mustang, which has proven quite popular Down Under. However, a Holden spokesman ended the speculation by stating that the car won’t be a Mustang rival. Apparently the Camaro was only designed for left-hand-drive markets. The only other V-8 sports car in GM’s fleet is the Chevrolet Corvette, and judging by GM’s activities in the area of trademarks the Bowtie brand’s halo looks to be the ticket. Australian publication Wheels (via Carscoops) has discovered that GM has been attempting to trademark the Corvette’s famous checkered flag logo in Australia but has been knocked back by the local agency that polices trademarks, IP Australia, on the grounds that the Bowtie component of the logo too closely represents the logo of the Red Cross. A source told Wheels that GM is still attempting to trademark the logo and may go as far as requesting an exemption from Defence Minister Marise Payne. Jacoby’s most recent comments suggest the V-8 sports car will reach the Aussie market at the end of the decade. 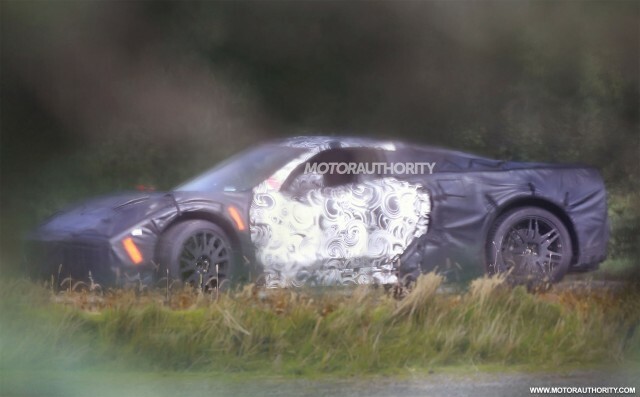 This suggests that any Corvette sold in Australia would be based on the next-generation, mid-engine C8 model due for a reveal in 2018 and expected to be sold worldwide.